There are many essential ways to volunteer depending on your interests. For example, administration, fundraising, attending events, public relations, maritime skills, educational experience, finance, legal and procurement. 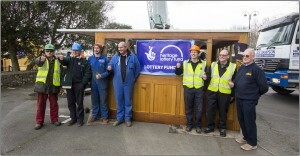 Working volunteers are welcome and considerably contribute to ongoing restoration. There is a great variety of tasks, no matter what your ability, both ashore and onboard. Please contact us to discuss what will be appropriate and enjoyable for you. Even an hour a week will make a difference and the ongoing sense of achievement as a contributor to this exciting project will be a just reward. Essentially we have two groups. 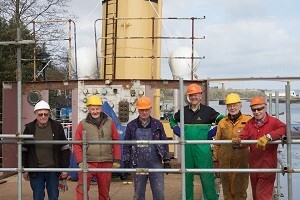 Every Wednesday and Sunday we have volunteers who work on the ship. 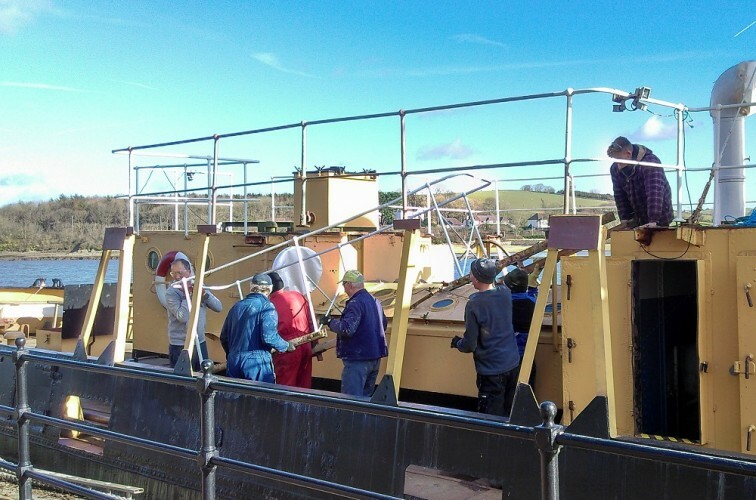 Some are chipping and painting, welding, working on wood, repairing electrics, rebuilding pumps or similar machinery, while others may be in the engine room assessing work to be done there. The second group looks after the running of the organisation – planning the way forward, fundraising, dealing with contracts, meeting potential sponsors / funders, accounting, marketing, PR, running our website, handling our IT needs etc. We may be a Charity but we have the same day to day needs as any small business. Some volunteer because they have a skill they want to use, some because they like the camaraderie of meeting other people, some because they fancy doing something outside, others because they like a challenge! In all cases they volunteer to enjoy themselves and be part of a group trying to achieve something. The short answer is none! If you have a skill and want to use it to help us that’s great, but we welcome anyone who just wants to get involved in some way, regardless of their ability. If in doubt, come down to the ship on a Wednesday or Sunday between 10am and 4pm! We would be delighted to hear from you! 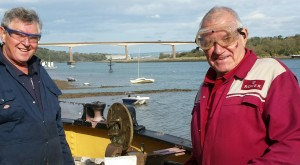 I was a shipwright at Appledore. Ships and boats were my life of work and to volunteer was my great love, which I really enjoy and the company are a great team. Just moved to the area having retired and wanted an interest to keep me motivated. Wanted to increase my circle of friends. Wanted to put my engineering expertise to good use to assist in fulfilling the goals of the Freshspring Society. I was advised to keep out from under my wife’s feet. It brings back memories of when I was at sea. In the early70’s with Shell tankers. I have never worked with steam before and knew very little about it. 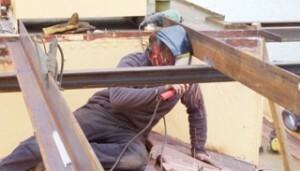 I have never worked on a ship before. An appetite to meet and work with new people.